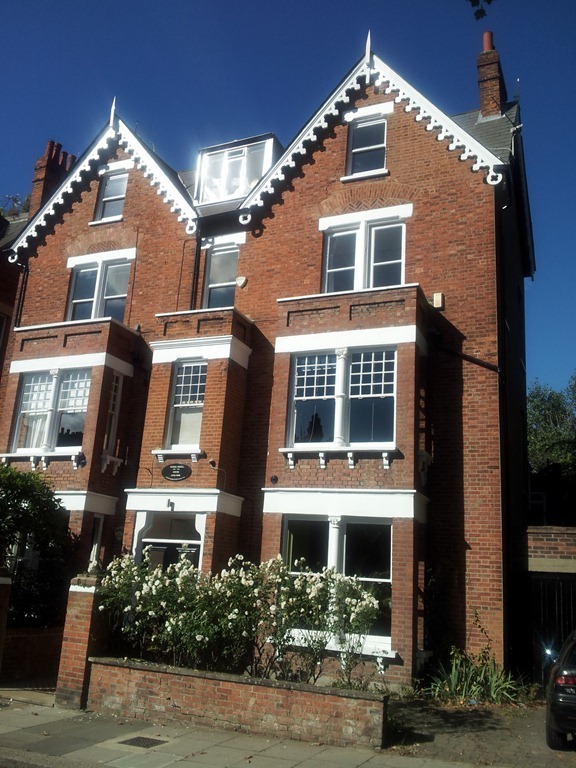 The author Eric Blair (no relation to Tony), better known as George Orwell, lived in Hampstead for a number of years before the Second World War. During this period he wrote his novel “Keep the Aspidistra Flying” which tells the story of Gordon Comstock, who works in a bookshop. 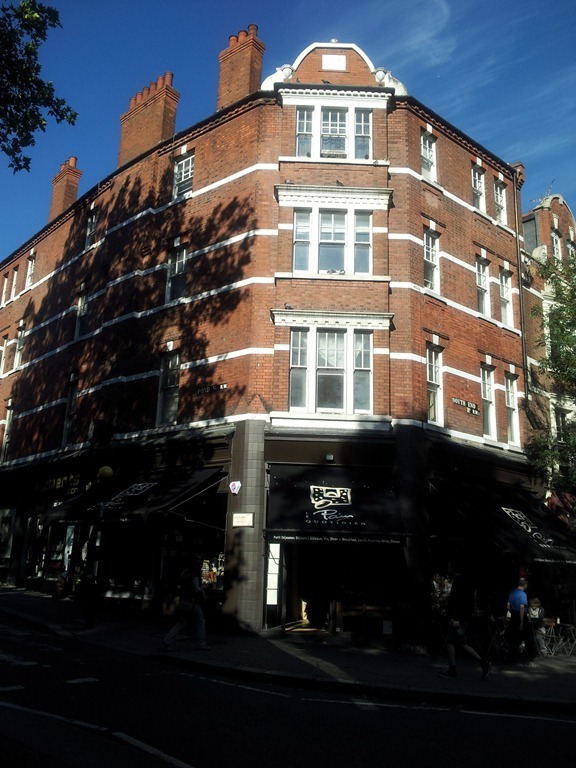 It was a semi-autobiographical piece, based on Orwell’s own experiences when he was living in digs and working in, surprise surprise, a bookshop on the corner of South End Street and Pond Street, in Hampstead, close to the Heath. Today the building houses a branch of the French style bakery and café chain, Le Pain Quotidien. 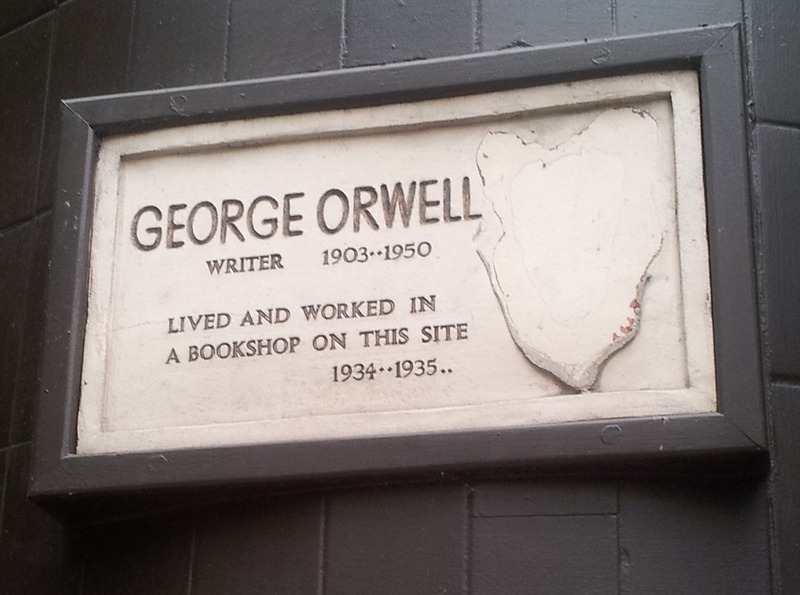 There’s a plaque on the wall commemorating Orwell’s time there. It used to include a relief of his face, but it’s no longer there – either damaged by wear and tear or, possibly, vandalised. We had breakfast in the café on both days while we were staying in Hampstead, and very good it was too – not exactly Down and Out in Paris and London! 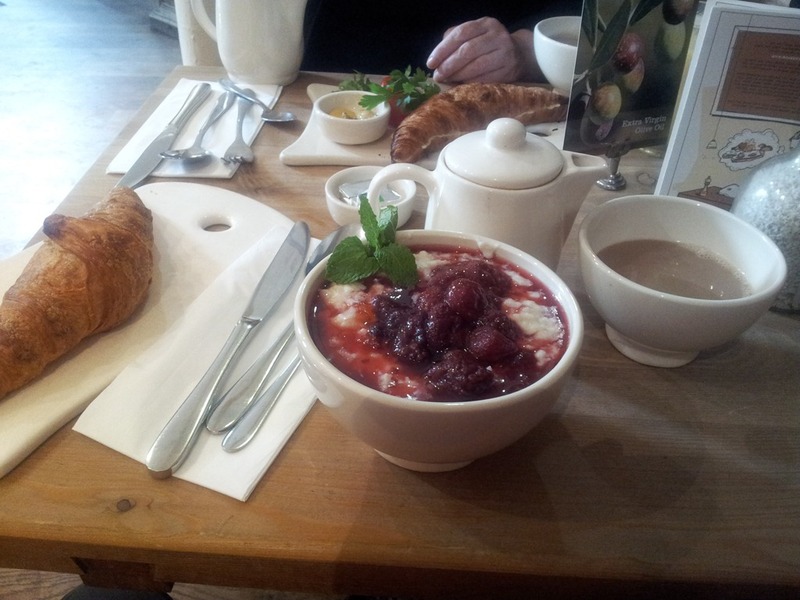 I liked the way they served the coffee in bowls – very Française. On the morning of our last day, we decided to go for a walk on Hampstead Heath and headed up Parliament Hill. As we neared the heath we noticed a house on the left with a plaque (there are plenty in Hampstead given the number of well known people who have lived there in the past). So Orwell had lived here too. It’s a long while since I read the Aspidistra but one of the things I particularly remember is how Gordon Comstock lived in digs where the landlady had the plant of the title in the entrance hall. preserve a wilting, diseased existence. Willowbed Road, NW, was not definitely slummy, only dingy anddepressing. Well, I wouldn’t describe the modern day Parliament Hill, or any part of Hampstead, like that. Today it’s far from “dingy and depressing” – it’s a very desirable, and expensive, place to live. And a short distance from Orwell’s former home we came to the Heath. Not far from there, after climbing to the top of Parliament Hill, this is view we had. 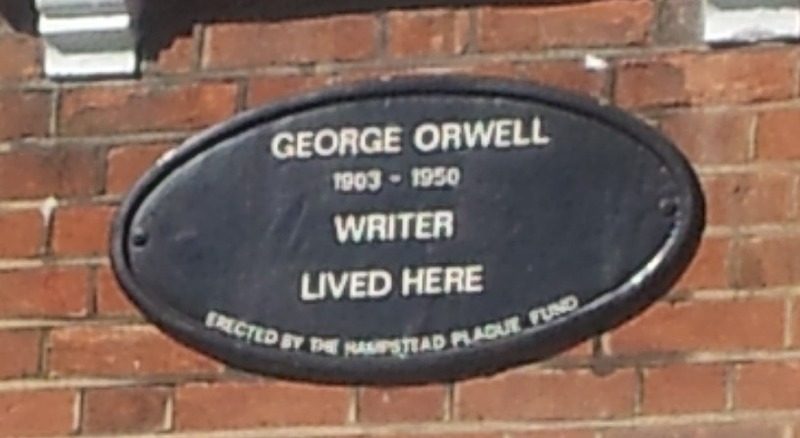 This entry was posted in Travel and tagged George Orwell, Hampstead, London by ms6282. Bookmark the permalink. On my patch (well North London) for a change! Nice to see this anyway. There’s more to Orwell than Animal Farm and 1984. Many years ago I was an Orwell enthusiast read most of his novels and many of his essays and other writings.